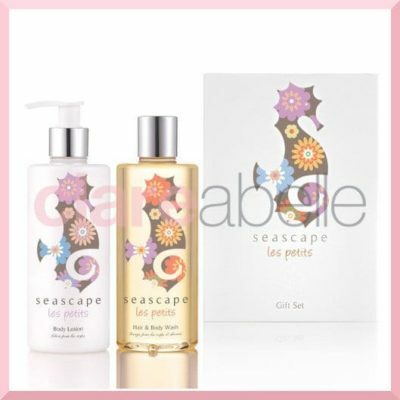 The APPLE & BEARS Bergamot & Green Tea Luxury Body Care Gift Set is the perfect gift to pamper yourself or to treat someone special in your life. Stimulate and rejuvenate your body and mind with powerful anti-oxidant Bergamot and Green Tea renowned for their anti-ageing properties. Moisturise and re-hydrate your skin with this boosting body wash and citrus aroma for an energising bath and shower experience. One full size (250ml) Bergamot & Green Tea Luxury Body Silk to rejuvenate and protect your skin after your bath or shower. Beautifully balanced with natural botanical ingredients, our Bergamot & Green Tea Body Silk gently uplifts and nourishes the skin with antioxidant rich Green Tea and citrus Bergamot. Re-energises and improves the overall appearance of your skin while the silky, smooth and natural active skin firming ingredient leaves your skin looking firmer, youthful, nourished and radiant.